By Carla K. Bartlett. Piano. 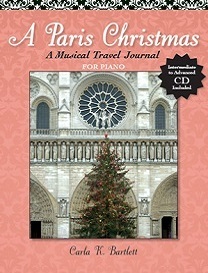 Softcover w/ CD. 48 pages. 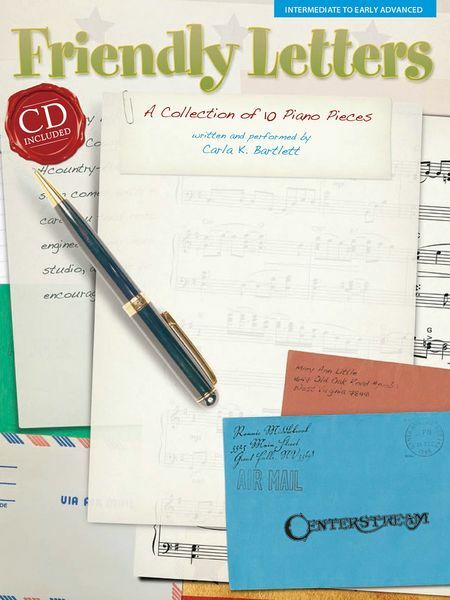 Composer Carla Bartlett writes musical letters to tell her friends how special they are. 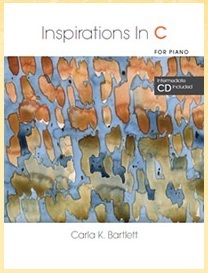 This collection assembles ten of her compositions - in styles from samba to rock and country to jazz - at the intermediate to early advanced leve. 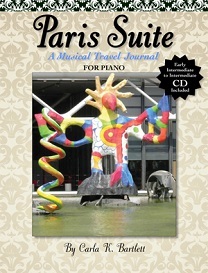 The CD features Carla performing the pieces. By Carla K. Bartlett. Piano. Softcover w/ CD. 44 pages. These early intermediate to intermediate piano postcards from Carla Bartlett use light classical and popular music styles to communicate feelings and hopes. The CD features Carla performing the pieces. 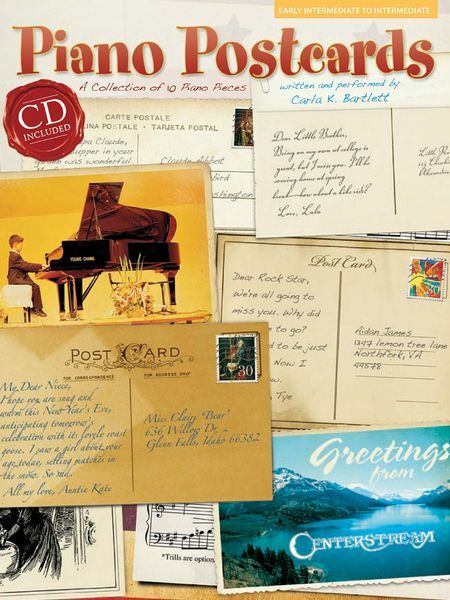 pianist, and traveler Carla K. Bartlett, Ph.D.
Purchase Friendly Letters or Piano Postcards in-store and receive 10% off your purchase, regardless of quantity. 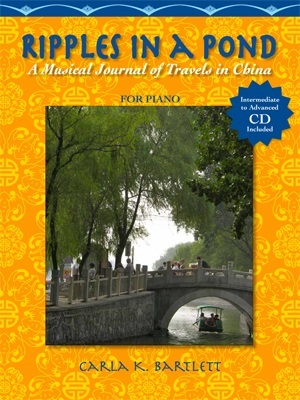 Varying discounts on most piano books and publishers.